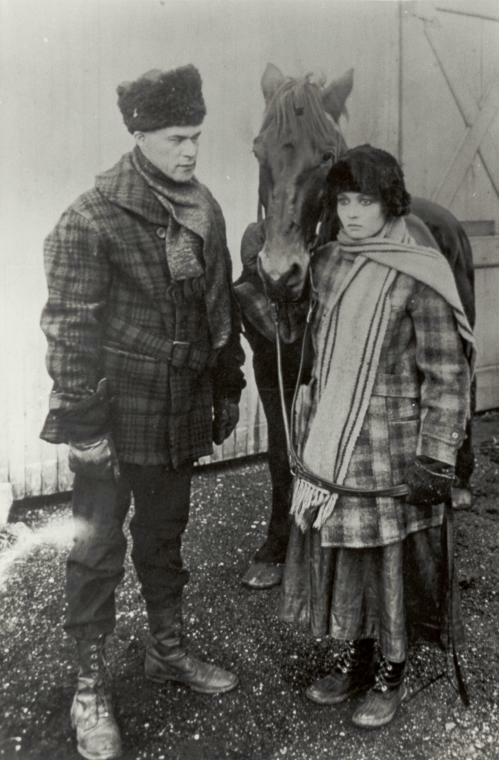 Agnes Stewart (Iris Hall), a Scottish girl who has come to South Dakota with her father, takes refuge in an isolated house during a blizzard. Hearing cries outside, she rescues Jean Baptiste (Charles D. Lucas), a black man who was in danger of freezing to death. Baptiste, who owns the house, falls in love with Agnes but despairs of overcoming the social barriers that prevent their union. 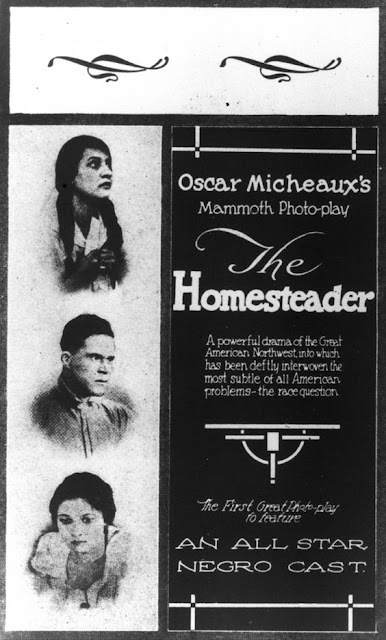 He returns East to his people and marries Orlean (Evelyn Preer), the daughter of preacher N. Justine McCarthy (Vernon S. Duncan), a vain man who soon takes offense at Baptiste's refusal to praise him. 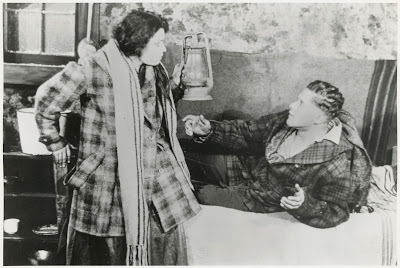 Enlisting the aid of Orlean's sister Ethel (Inez Smith) and brother-in-law Glavis, McCarthy (Trevy Woods) begins a campaign of persecution against Baptiste that Orlean is too weak-willed to battle. 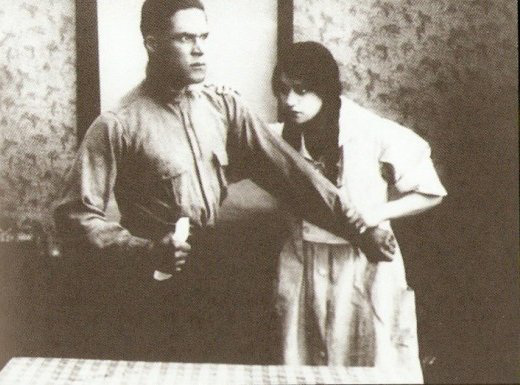 Finally Orlean goes insane, kills her father, and commits suicide. 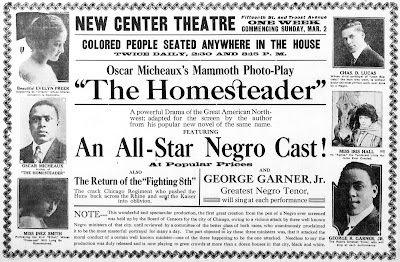 Baptiste returns to South Dakota and meets Agnes, who has discovered that she is really black. 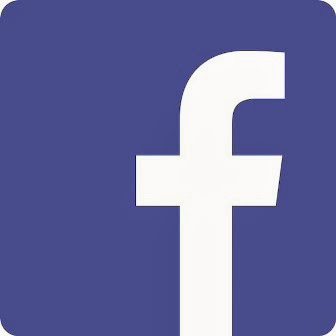 The two find happiness together at last. 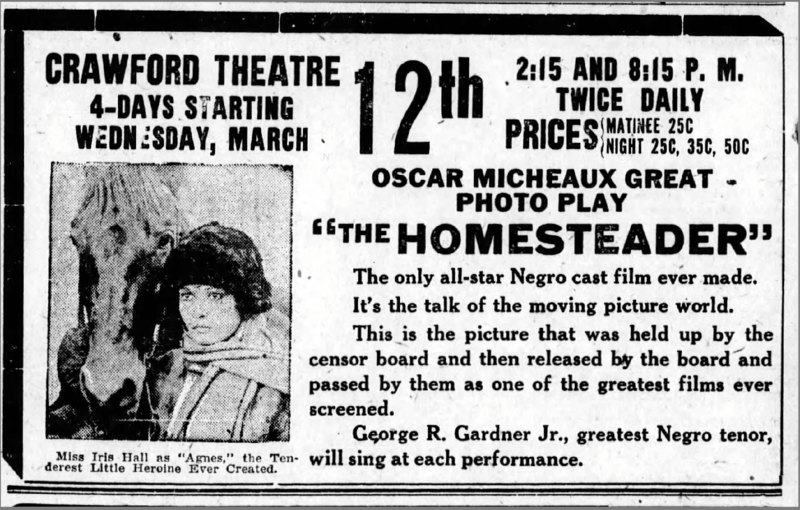 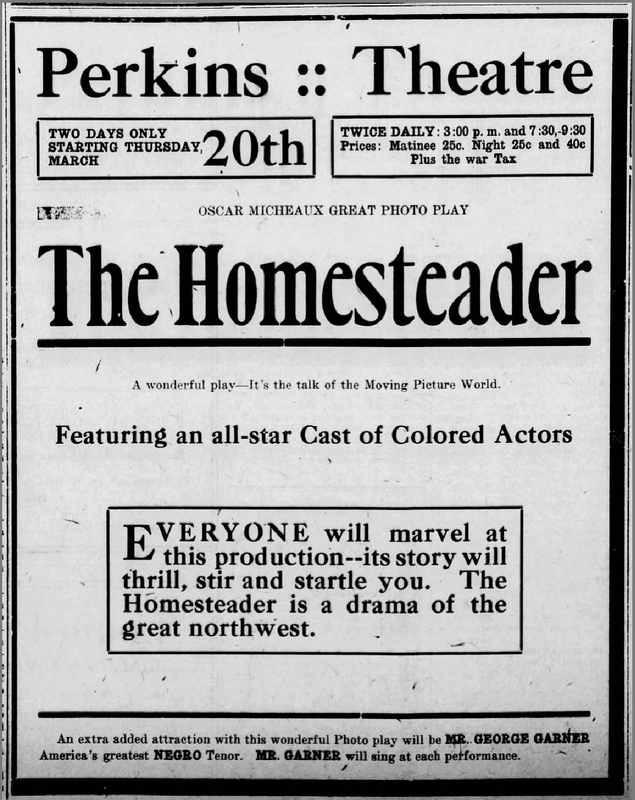 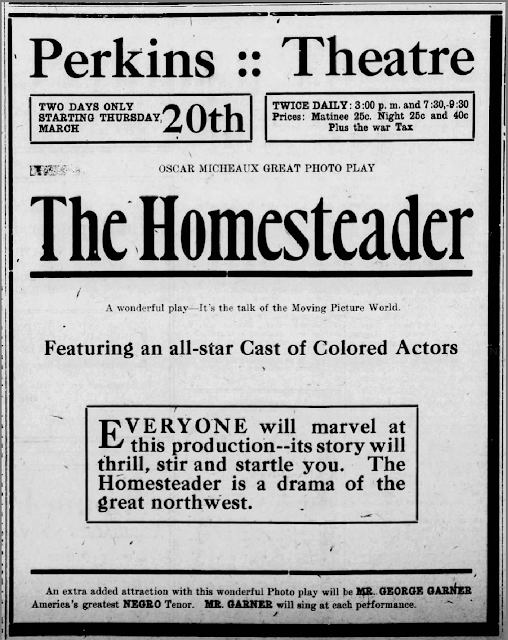 This 1919 silent drama was based from the novel The Homesteader by author Oscar Micheaux and also directed by him. 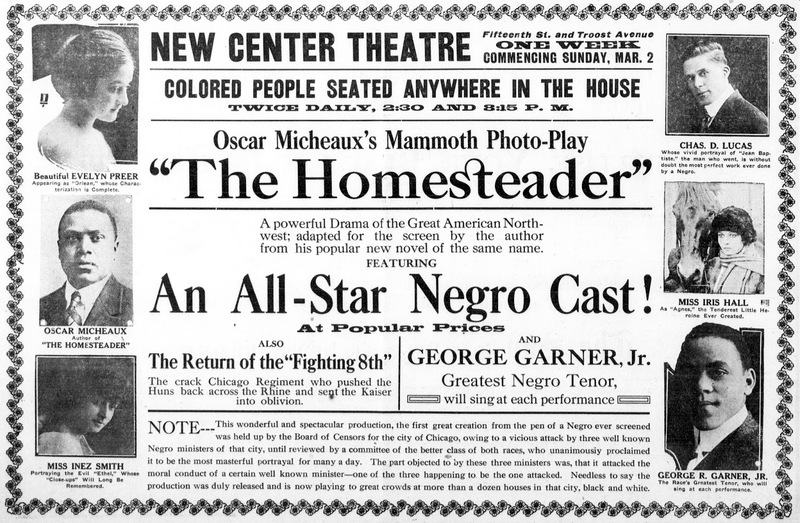 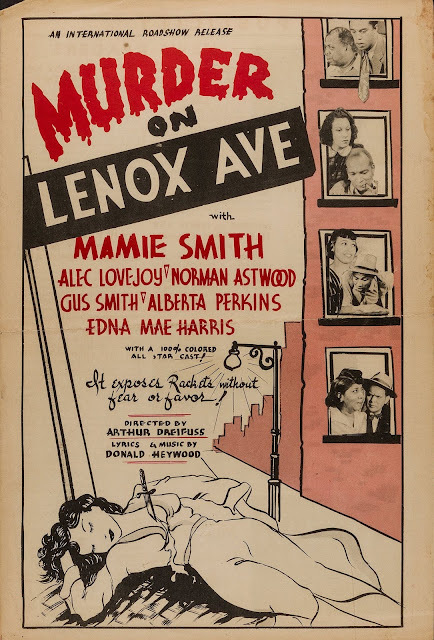 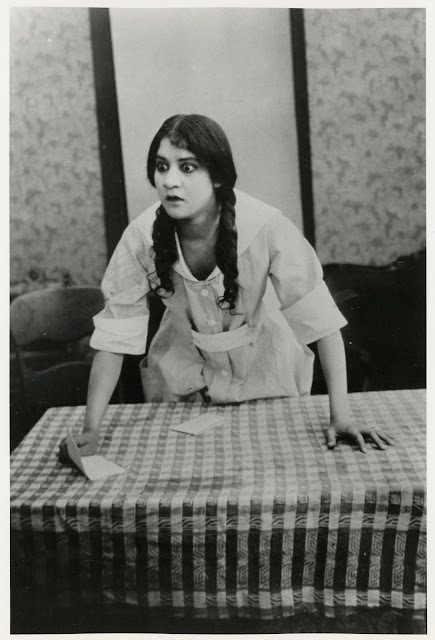 It is believed to be the first feature-length film made with a black cast and crew, for a black audience, and thus the first example of a race movie, which makes it all the more tragic for fans of silent cinema that The Homesteader still remains a lost silent film.